Is it just me, or has July just whizzed by!? 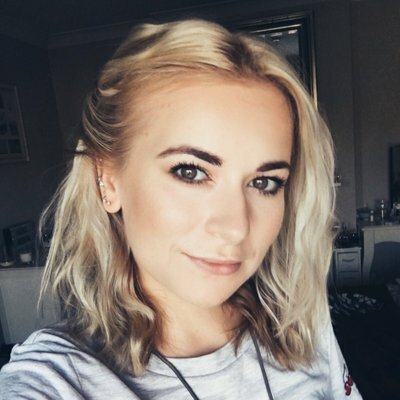 So I thought I’d start my monthy favourites on my blog! This was pretty difficult to narrow down since I’ve been loving so much this month, especially since summer is finally here and I’ve been cashing out on some summer goodies! What better way to kick off my July favourites than the traditional summer shoe, the flip-flops!! 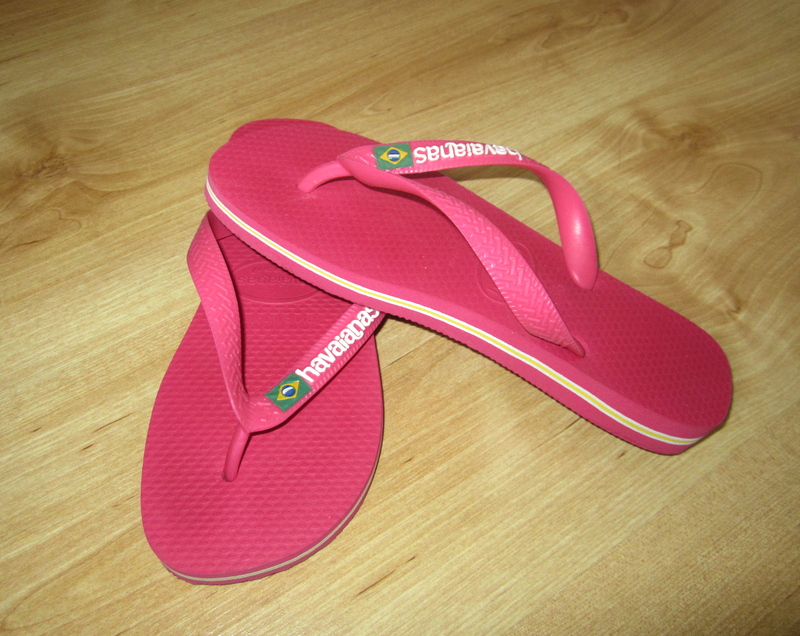 Now, these are not just the standard flip-flops, oh no, they’re the Havaianas, they’re soooooo comfortable and pretty to look at! They’re perfect for the beach and chilling around the pool when you just want something easy to kick on and off, because, lets face it, no one wants to fiddle with straps and laces when you’re ready to get tanning!! Next off is the perfect summer evening shoe. Court shoes are well suited for humid summer nights as they let your feet breath rather than really tight strappy heels, which are even more uncomfortable with burnt feet!! Ouch! These are from Zara for just £40 and they’re surprisingly comfortable! On to clothing, A-line skirts have literally been my best friends this month! They’re great for all body shapes and really draw the eye to the waist = SO figure flattering!! The Neon ones have been bang on trend this season and for those who are pretty pasty like myself, they give an illusion of a tan! SCORE! A-lines team beautifully with a crop top, so you can show off a teeny tiny section of the waist without being too full on and again makes your waist seem smaller! What more could a girl ask for!! Now onto beauty, I thought I’d team these two favourites since they work together fabulously! They are the Rimmel Wake Me Up Foundation and Real Techniques Expert Face Brush. 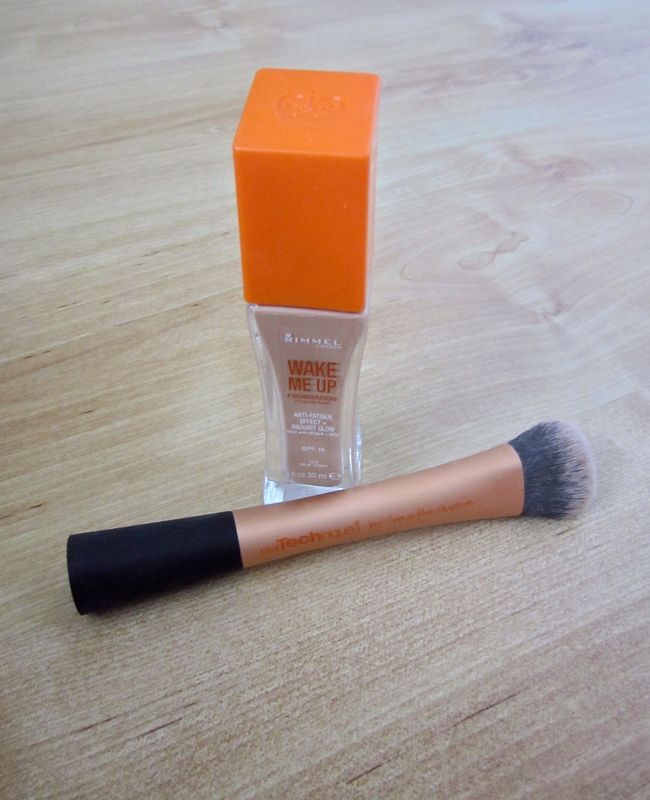 The Rimmel Wake Me Up Foundation has a really lovely formula and is super moisturising without being too shiny. I would say this is a medium cover foundation and finishes with quite a dewy and healthy look. But if you feel that it’s too dewy than you can easily manage that with powder. The Expert Face Brush by Real Techniques is ahh-mazing. Its bristles are super soft and works well with both liquid and powder foundations. It is not limited to just foundation, the shape of the brush works really well as a contour brush and just general powdering. I highly recommend these products and they’re super affordable! 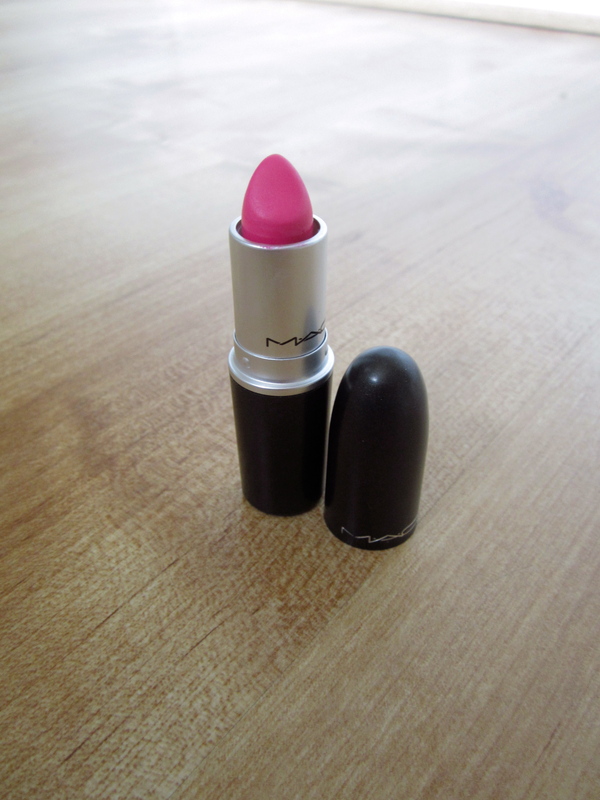 The Mac Candy Yum-Yum was featured in my ‘Favourite Mac Lipsticks’ post, so I won’t go into detail with this. I have been wearing this ALOT this month, it’s so summery and really brightens up any look! It looks really lovely with a natural shades on the eye for a more day look, but if you’re feeling rather daring, it can also look great with a black smokey eye. I just leerrve it! Nail time! The new(ish) Barry M Gelly Nail Paint is sooooo good. It’s easy to apply and really fast drying! It’s super shiny so if you’re in a rush you can easily get away without applying a top coat. There are so many colours to chose from but this month I seem to be reaching for the colour Guava, it’s really pigmented, so two coats does the job! Another benefit is the fact that it’s pretty long lasting, mine lasted for about 4 days, which is something for me since I’m rather hard-wearing on my nails! It’s great value too for just £3.99. 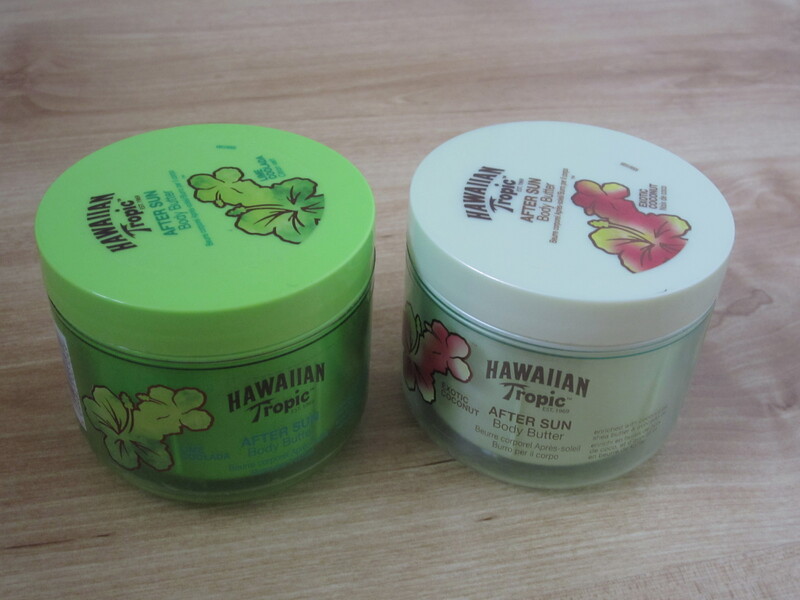 Hawaiian Tropic After Sun Body Butter in Lime Coolada and Exotic Coconut – £10.45 each. I don’t know about you, but during the summer I always seem to get through so much aftersun to avoid peeling and to maintain my tan. The Hawaiian Tropic Aftersun Body Butter is so lovely. It’s really creamy and moisturising which is perfect for the drying effect the sun has on our skin. They both smell gorgeous and really remind me of summer holidays! My personal favourite scent is the ‘Exotic Coconut’ and every time I smell it I feel like I’m lying beside the pool with a cocktail in hand..ahhh….if only!! The ‘Lime Coolada’ scent is also very yummy and quite refreshing! These were quite expensive at £10.49 but most sun-based products are and fortunately I got these beauties in a Buy One Get One Free deal (oh yeahhh!). The Dove Moisturisers in general are amazing, they’re really moisturising and dry really quickly, which is such a benefit as there is nothing worse than sitting there feeling all sticky waiting for moisturiser to dry! This one in particular smells so nice and the scent is quite long lasting too! 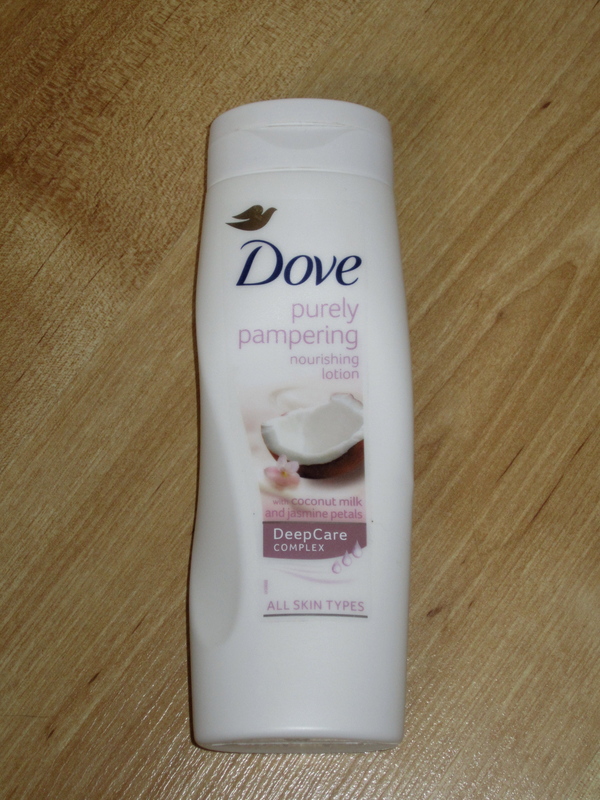 I would definitely recommend all the Dove moisturisers but the Coconut and Jasmine Petal scent in this one is particularly suited for the summer! Last but not least is my random favourite! It is the White Chocolate covered Oreos! Oh Em Gee, these are so yummy! 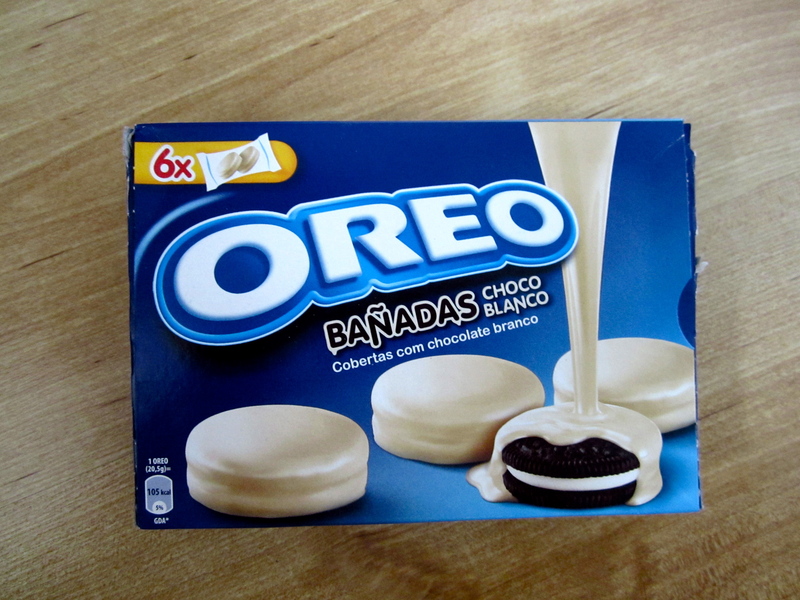 I really wish they sold these in the UK! I got these when I was in Barcelona and I really wish I bought more packs! I mean, they’re not particularly bikini body friendly, but they taste way too good to resist!! Hope you enjoyed my July Favourites post and I hope your summer is going well! Next > Five Fabulous Foundations!